Cervical spinal stenosis treatment may be required for cases in which canal narrowing affects the viability of the spinal cord in the neck. The cervical region is the second most common location to experience central canal stenosis in the human vertebral column. It is also the region noted for generating the worst possible effects from significant canal narrowing conditions, since the entire anatomy from the stenotic level down may be affected with potentially dire symptoms. The type of treatment utilized for cases of symptomatic stenosis will rely completely on the source of the canal impingement issue. In some cases, noninvasive conservative care or moderate care methods may be successful in resolving the causative issues. However, in many instances, some form of spinal stenosis surgery may be indicated and truly needed to correct the source of the spinal cord compression. This discussion focuses on the treatments that work best to resolve or manage stenosis problems in the neck region. Conservative nonsurgical methods of care are usually most effective at resolving stenosis due to disc pathologies, ligamentous hypertrophic conditions and some types of spinal arthritis. Soft tissue conditions, such as disc herniations and ligament inflammation, may resolve on their own, without any care, or may benefit from conservative modalities, such as chiropractic, various types of injection therapies or spinal decompression. Spinal decompression for stenosis is the best nonsurgical method of care for many patients with bulging discs and some varieties of arthritic change which encroach on the spinal nerve roots. Most other typical approaches to treatment are geared more towards symptom management and not actual curative potential. These include pharmaceutical therapy, physical therapy, epidural injections and a host of other possible treatments. Surgery for cervical stenosis is the usual path for serious symptomatic conditions which influence the function of the spinal cord. The variety of procedure utilized will also depend completely on the causative process to be treated. Discectomy comes in many forms and is the industry standard for treating disc pathologies theorized to be compressing the spinal cord or spinal nerves. Laminectomy is also sometimes used to treat disc conditions, as an add-on technique to discectomy, but can be a stand alone procedure from spinal arthritis and other general stenosis concerns. Spinal fusion may be added to either of the above procedures, if the vertebral column requires reinforcement or if the surgeon fears a recurrence of some pathological process which might recreate the stenotic concern. Cervical spinal stenosis is so dangerous, since it exists high up in the vertebral column anatomy. 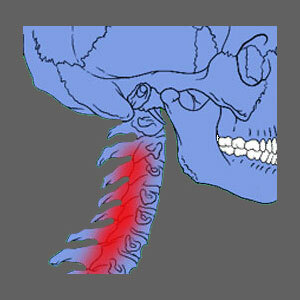 Spinal stenosis in the neck can enact symptoms at any level below the compressed one, potentially covering much of the body in debilitating pain and neurological consequences. Always remember to discuss all your treatment options with your doctor and consider getting one or more alternate opinions before beginning any drastic regimen of care. Surgery can never be undone once it is performed. Remember also to inquire about your prognosis from any particular path to care and be sure to clarify if the therapy selected will be curative or only effective at managing symptoms. This is crucial for attaining satisfying treatment results. Above all else, become ever more involved in your own care and research your options independently. Many patients find alternative care practices, which are not suggested to them by their physicians, while researching online or in their local library. In some instances, these discoveries might just save the patient from dangerous surgery. This website is provided as a gift by The Cure Back Pain Network. We are the world’s largest and most respected patient education and advocacy organization in the dorsalgia sector of medicine. We are proud to help patients for over 15 years and do so without expectation for financial gain. Learn more about us.